Every mama should have photos when they meet the newest love of their life. No matter how you give birth! I believe that your birth space and the people in it are up to YOU. I've attended 100+ births and I'm grateful each time I'm invited into a birth space. Birth is hard to plan! Because of that, I only take 2-3 birth clients each month. I want to be there for your birth, and taking a small number of exclusive clients allows me to give you my full time and support. Not only on your images, but as you prepare for your birth. I'm available for call/text support anytime! I'm a trained DOULA, and I'm here to support you in any way I can during your birth. Even if its putting down my camera to hold you hand. I'm here for you - there is no extra charge for this, I just love to support women in the birth space. Once I edit your images, I send you a gallery within' 2-3 weeks of birth. Ask about (free) baby registry cards and gift certificates so that your family can help you invest in these memories. Contact me today to check my availability for births. I only accept 2-3 per month, so its never too early or too late to contact! If you’d like to purchase a gift certificate for sessions click HERE. Birth Packages Start at $1950 with complimentary maternity session. You can add a Fresh 48 Session to any birth story. 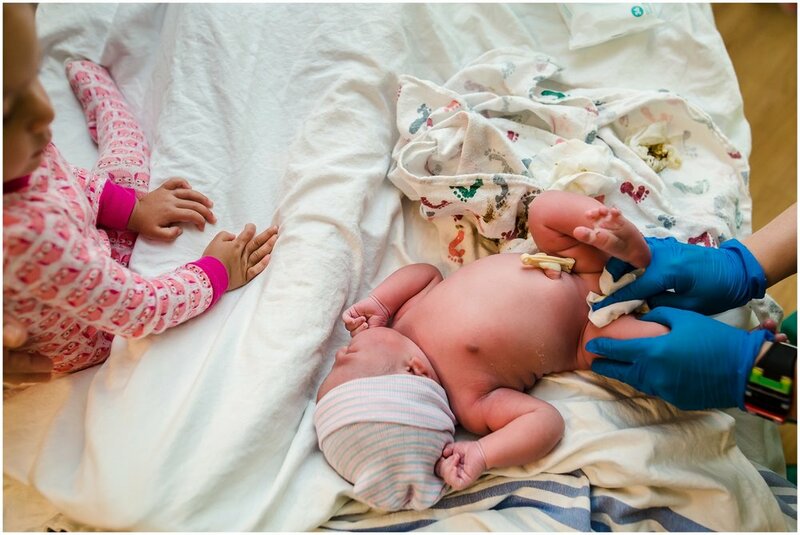 Birth photography is growing and becoming a more mainstream life event to capture! In part because this generation loves to document all aspects of their life, especially those that are so meaningful as the birth of your child. Here are some birth photography FAQ that might help you in your decision. What is birth photography? – Birth photography is documenting the day your child enters the world. No matter how this baby comes to you, it’ll be a day that you’ll want to have captured. Having photographs of the moment you meet the tiniest love of your life is a moment like no other. You won’t regret having these photos for years to come and your child will be grateful for them as well. How does it work? – I love to meet with my clients prior to their birth day to chat about their birth plan and vision for photography. We discuss the proper time to call me, and how to keep me updated in the weeks to come before birth. I head to the place of birth when you are in active labor, and stay for about 2 hours after baby is born. This allows enough time for motherhood, nursing and sibling/family meeting the new baby photos. How many images can I expect, and what is the best thing to ‘do’ with them? – There are no certain number of images that I give, but you can expect around 150-200. The images are going to capture your story, the details and your first moments with your child. Some of my birth packages offer albums and all of my packages come with a photo slideshow set to music. I want it to be very dark during birth, how will you take pictures in the dark? – I’ve had several mamas who want the room dark while delivering, professional photographers have gear that works in low light situations. We can also talk about using a flash, or not, during a dark labor and birth. What if you miss a birth, get sick or have an emergency? – Any reputable birth photographer works with a backup, they are called in the event that I have an emergency. If the baby just happens to come super fast, then I still come to the birthing place for photos, and we also set up a Fresh48 or motherhood session to replace what might have been missed in the event of a precipitous birth. However, your fast birth is part of your story and I am there to document your story as it unfolds, even if it is fast! Do you offer video? – Yes! Contact me about upgrading your birth package to include a beautiful video about your child’s birth day. Do you have any doulas that you recommend? – Yes, several, please message me for their names and contact info. Why should I book with you over using a friend or other person who has a good DSLR? – Working in low light situations is not easy and even with a good DSLR camera, the capabilities in low light are not the same as a full frame professional quality camera. It also takes a lot of time and practice to take pictures in near dark situations or the awful yellow hospital lighting. I’ve take a lot of time to learn how to make a photo beautiful in a terrible lighting condition. Additionally, I have years of practice as a photographer, shooting portraits and weddings long before I became a birth photographer – if you want professional photos, you have to hire a professional! Will my birth photos be in color, or black and white, or both? – The definite answer here is; it depends. I personally love color for births, but some births just look better in black and white. Also, some images look better in black and white. My style is to give images that work for that birth and the lighting, mood and circumstance.